Cleans injectors and injector nozzles, thereby improving the atomisation and spray pattern of the injected fuel. 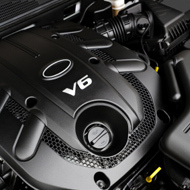 The product improves combustion and drastically reduces the characteristic black diesel exhaust fumes. Many tests have been carried out, in many different parts of the U.K. at official Ministry of Transport (MOT) testing stations, which show immediate exhaust emission reductions of up to as much as 60%. Power increases of up to 10% can also be measured, on appropriate equipment. When used regularly, fuel savings of between 4% and 8% have been recorded. The composition of Diesel Injector Cleaner reduces wear in injector plungers and piston rings, while it cleans. 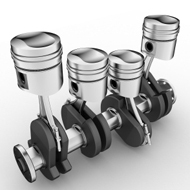 Additionally, the cleaning of piston rings, combustion chambers and inlet and exhaust ports, together with the minimising of deposits on pistons, all contribute to improved engine performance. Data from various tests, both in the field and under laboratory conditions, show that the use of Diesel Injector Cleaner improves injector life with regular use. world, for the past 20 years. The active ingredients and basic product design are sourced in the United States of America and the final formulation is arguably the most effective of its type available in the world, today. equipment, available from various companies. This takes only about 20 minutes. Alternatively it can be used to fill the fuel filter container in vehicles where this is reasonably easily accessible. Run the vehicle at idle for about 25 minutes. Finally, if none of the above alternatives are available, then the suction pipe from the vehicle fuel pump should be inserted into the Diesel Injector Cleaner can and the "return to tank" pipe also inserted into the can and the vehicle run on the contents until the can is almost empty. Reconnect normal fuel supply and take the vehicle for a short run, using relatively high revolutions and full throttle for a short time. Exhaust smoke emission test can now be made again. In order to maintain clean injectors and maximise fuel economy clean as above, at least once or twice a year.